Dean was born in Mt. Clements, Michigan on the 31st of July, 1966. His mother, actress Sharon Thomas, married his adoptive father, director Christopher Cain when Dean was three. He grew up in Malibu where he attended Santa Monica High School. Though he appeared in a couple of Chris Cain's early films, his interests favored sports over acting. While at Princeton University, he completed a history major, dated Brooke Shields for two years, and set an NCAA record for interceptions in a season. After signing with the Buffalo Bills, a knee injury ended his pro career before it began. His son (with ex-girlfriend, Samantha Torres) Christopher Dean Cain was born June 11, 2000 at 1:30pm. He weighed 7lbs. 15oz. He was named after his grandfather, Christopher Cain. 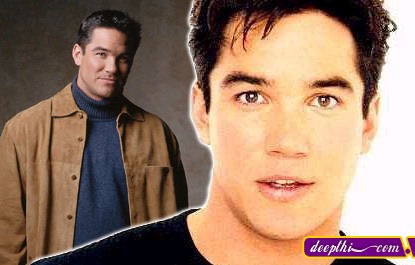 Black-haired, muscular, and handsome, television and film actor Dean Cain is perhaps most famous for having played Superman on the hit TV show Lois and Clark: The New Adventures of Superman. His professional start appearing in numerous television commercials. After trying his hand at screenwriting for a while, he found work guest starring on various series, including Life Goes On and Beverly Hills, 90210. He had made his film debut with a small role in The Stone Boy (1984). A few small movie roles followed, but Cain didn't have a major role until he played an ex-Green Beret in Best Men (1998) In the meantime, Dean starting doing commercials and filmed 35 of them in four years, the first of which was a Brut cologne commercial, where he was driving in a convertible in the middle of the desert and stopped the car, deciding to put on some Brut and as he did, there was a mirage of women heading his direction. That led to guest starring roles on numerous television series, including "Beverly Hills, 90210," "Life Goes On," "A Different World" and "Grapevine." An accomplished writer as well as an actor, Dean is actively pursuing both careers. In addition to working on a number of feature-film scripts, Dean wrote, directed and produced the ABC special, "Off Camera With Dean Cain," and has written two episodes of Lois & Clark: Virtually Destroted & Seasons Greetings.